Our state-of-the-art door entry systems let you decide who can access your premises. From the control of a single internal door to a fully computerised multi-site network of control points, Cardiff-based security specialists IDS provide a comprehensive range of access control solutions to suit all requirements. We install cutting-edge door entry systems for clients across England and Wales. The systems we supply can be used to control internal and external electronic and magnetic door releases and devices, including barriers making full use of location points. You will have full control over who is allowed access through any controlled point at any time of any day, placing access control at the forefront of your security system. We can also integrate door entry systems with alarm and CCTV systems to provide all-round security from a single source. 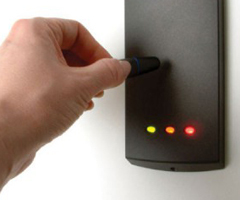 Click here to get in touch and request a quotation for your access control system >. Our door entry solutions aren’t just for commercial premises – we also install a wide range of door access control systems for homes and apartments, as well as public buildings. If you would like to discuss your specific access control requirements in more detail, please feel free to call our Cardiff office on 029 20 753 251 to speak with our experienced team of engineers. We’re more than happy to provide advice, discuss options, or even pop out to survey your property so that we can provide an accurate proposal for your security requirements. Our access control systems are sourced from a number of leading British and European manufacturers, including Cotag, Legrand, Paxton, and others. When choosing our suppliers, we always keep the end result in mind, ensuring that each and every customer receives a secure, user-friendly system that’s perfectly suited to their needs. 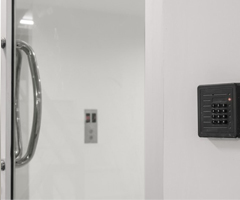 Whether you are looking for a hands-free door entry system, a console with audio/visual capabilities, or something even more advanced, rest assured that our access control experts will get the job done. 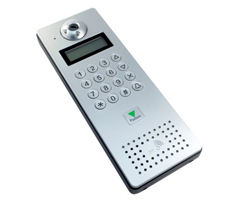 If you would like to find out more about the access control systems that we offer, please call us on 029 20 753 251 or use our contact form to request a quotation.